McConnell Golf's latest step in sourcing high-quality ingredients is sizzling. FARM-TO-TABLE HAS LONG BEEN A CULINARY BUZZ phrase, and it’s no secret that using fresh, locally grown ingredients produces a superior dish. But securing the best ingredients for McConnell Golf’s chefs goes beyond stocking the kitchen with local produce. 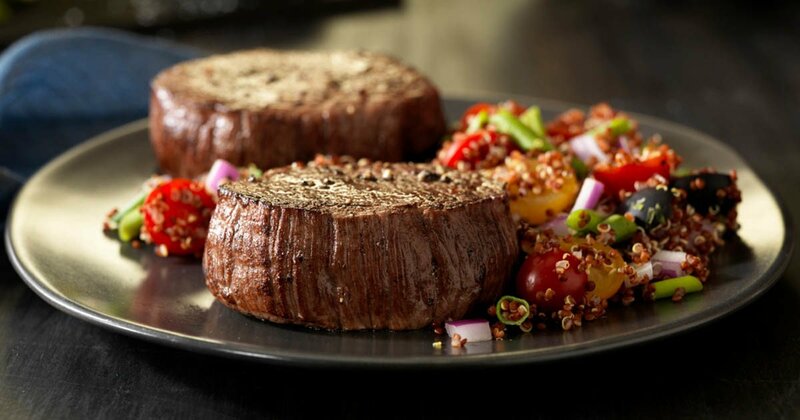 Thanks to a recent partnership between McConnell Golf and Meyer Natural Foods, highquality steaks and beef are now appearing on all club menus. What makes Meyer Natural Angus products among the best? It’s all traced back to Meyer Ranch, a 40,000-acre expanse in Montana where cattle are humanely raised, fed vegetarian diets of natural grains and grasses, and never given antibiotics or hormones. James Patterson, one of McConnell Golf’s corporate executive chefs, has been serving Meyer Natural Angus at Sedgefield for several years. When McConnell Golf started looking for ways to further improve its culinary offerings across all clubs, Patterson knew where to go. Now, all McConnell chefs have the flexibility to order any cut of product from Meyer they choose — from strip loin to short rib. The meat arrives in club kitchens with traceability back to the ranch. When Patterson introduced his peers to the new product, he did a side-by-side butchery comparison of Meyer New York strip and commodity New York Strip.